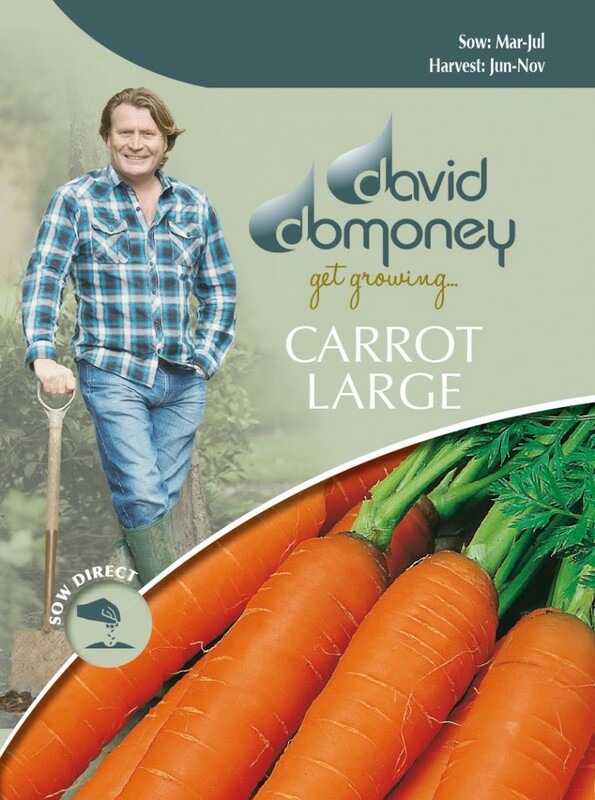 Carrots can be grown all year round and will give a good yield from a small area if you space them close together. Few vegetables can match its versatility in the kitchen, and they are a popular choice for the veg plot. Good varieties to grow are Jitka F1, Cascade F1 (Baby Chantenay) and Nantes 5. 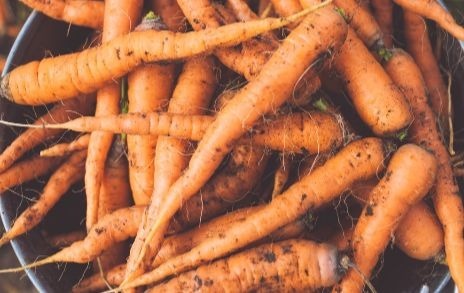 Carrots are packed full of healthy vitamins and minerals, including beta-carotene, an antioxidant that produces Vitamin A and is linked to improved lung health, cognitive ability, and can help to reduce macular degeneration, an age-related disease that causes a loss of vision. So, carrots really are an amazing vegetable that give you a healthy boost! Carrots need deep, loose soil to grow long, so try short-rooted varieties if your ground is stony or heavy, or if you want to grow them in containers. Carrots are drought-resistant and need very little watering. Sow: Feb Apr May Jun. Harvest: Jul Aug Sep Oct. Sow 1.5cm deep and 3 cm apart in rows 30cm apart. Sow thinly to avoid having to thin out later (the aroma of the crushed foliage when thinning out can attract the dreaded carrot fly). Seedling should begin to appear after 14-21 days. If you do need to thin, do so once the seedlings start to appear to a distance of 5-8cm apart. Destroy the thinnings by burning or burying them. Keep weeds down in the early stages. 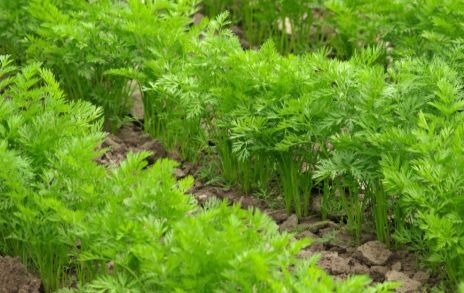 Once carrots are established, their leafy tops will block out sunlight to annual weeds. Carrots like the heat and will need little water. However, if the foliage starts to wilt, water thoroughly every 10-14 days to keep the ground damp. 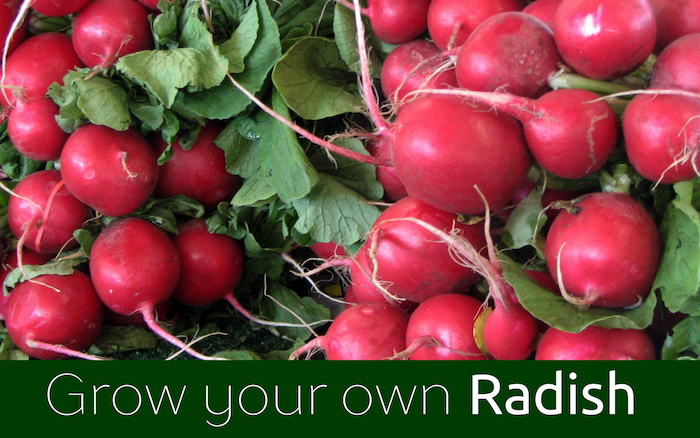 But beware overloading dry soil with too much water – it can cause the vegetables to split. 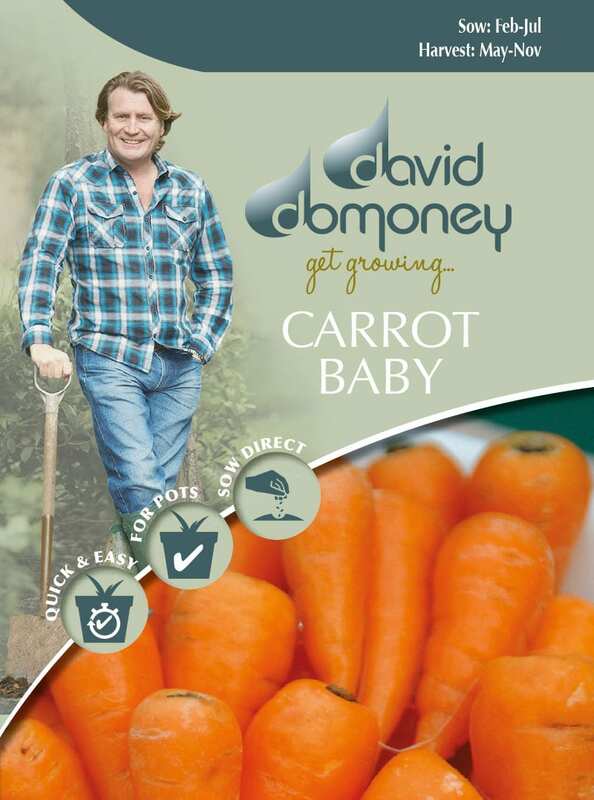 Carrots are generally ready to harvest 12-16 weeks after sowing. 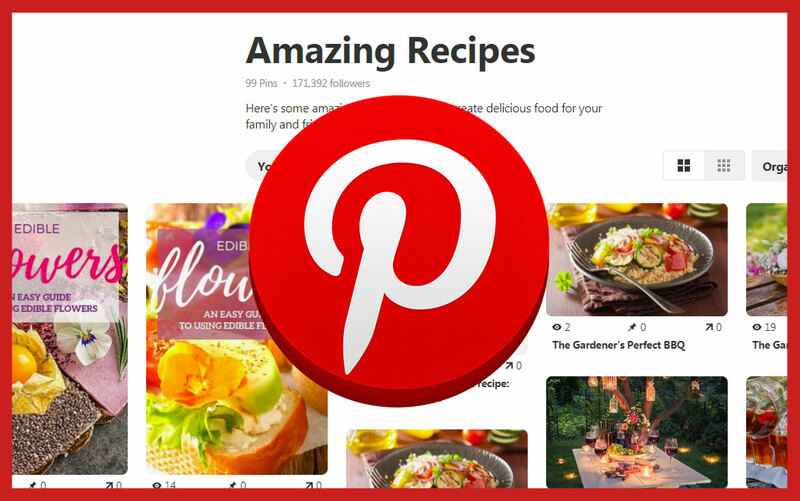 Pull the roots while they are still young, as larger roots tend not to have as much flavour. 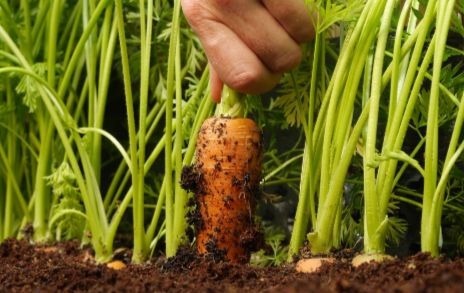 Pull up with your hands or use a fork if the soil is hard. To store carrots, lift and remove surface dirt. 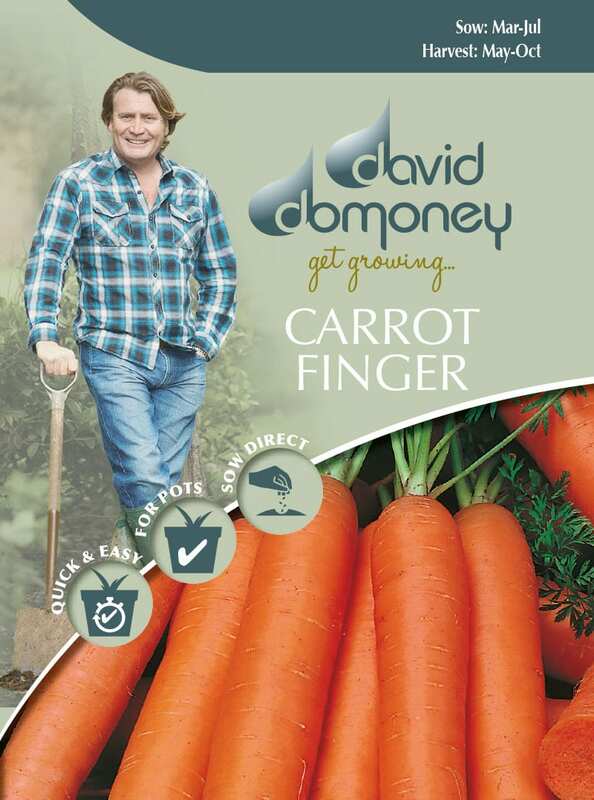 Cut the leaves to 1cm from the top and place in a box between layers of dry sand, so the carrots are not touching. Originally, carrots were purple! Orange carrots were introduced by patriotic Dutch farmers, as orange appeared on their national flag. Over time, these became the norm. You can still buy purple carrots, but they are orange on the inside. Growing onions next to carrots can deter carrot fly but only while onions are in active growth. For this to work, around 4 rows of onions are needed for each row of carrots.